Wonder Drug FUNGISOMETM - a Liposomal Lipid complex of Amphotericin B.
Amphotericin B Liposomal Lipid Complex is a strategically designed targeted Drug Delivery Formulation for the Treatment of Serious Systemic and Invasive Mycosis ( Fungal Infections) and intracellular protozoan infection - Leishmaniasis ( Kala-Azar) . 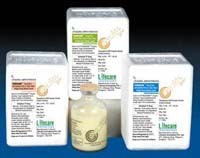 FUNGISOMETM is recent of only two Liposomal Amphotericin B formulations available worldwide. Clinical studies for over a decade have unambiguously established that FUNGISOMETM is the most effective, most safe and most affordable option for the treatment of both Systemic Mycosis and Kala-Azar. 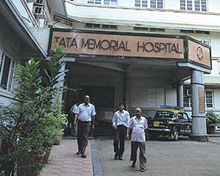 FUNGISOMETM developed in India with support from the Ministry of Science & Technology has been tested at Government and Private hospitals including KEM Hospital, Tata Memorial Cancer Hospital, Jaslok Hospital, Hinduja Hospital, Bombay Hospital, Nair Hospital in Mumbai and Patna Medical College. FUNGISOMETM since its commercial launch has been administered to patients in all the premier hospitals both public and private as well as defence hospitals throughout the country. FUNGISOMETM is also been used for treatment of Mycosis in USA. Conventional Amphotericin B available under the Brand Name FUNGISOMETM worldwide has been the mainstay for the treatment of Systemic Mycosis for more that four decades. Conventional Amphotericin B, however, has serious dose limiting toxicities predominantly nephrotoxicity, cardiotoxicity and neurotoxicity. Development of Lipid formulations of Amphotericin B have helped overcome these adverse drug reactions and dose related toxicities enabling aggressive treatment with high dose administration minimizing morbidity and mortality. The cost of treatment of these lipid formulations prior to launch of FUNGISOMETM remained a matter great concern for the treatment economics. FUNGISOMETM costs the fraction of the cost of treatment using other brands - a boon that many are perhaps unaware of.